The lovely city of Coronado is a resort area in downtown San Diego. It is a sparsely populated city with only about 24,600 residents. It is part of the San Diego Metropolitan Statistical area. Coronado is popular as a resort city and tourists love its laid-back lifestyle, warm weather and great beaches. Popular events in this city are the 4th of July parade, Coronado Flower Show and the Summer Concert Series. Coronado residents try to preserve their homes and also enhance their functionality to suit their modern lifestyle. Murray Lampert Design, Build, Remodel has been providing top-notch home remodeling services in Coronado for over 40 years. Many property owners throughout San Diego rely on us for their kitchen remodel and home improvement projects. Different homeowners have different needs and preferences when it comes to kitchen remodeling. Due to this, we have managed to tailor our services to suit our clients’ specific requests. 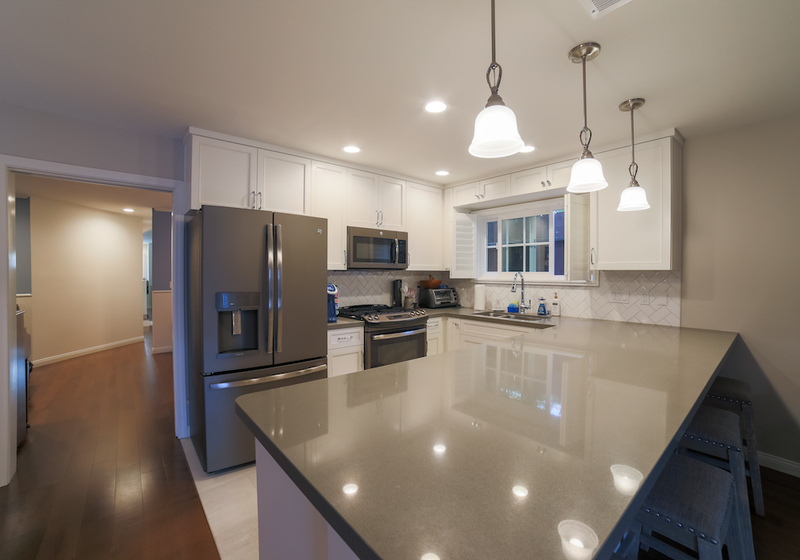 We always discuss remodeling projects with homeowners, get their input and ideas, and combine their ideas and our expertise to come up with an excellent kitchen. Kitchen remodeling Coronado projects always have our customers’ best interest in mind. Once we embark on a project, our experts will apply their skills and knowledge, then leverage technology for a timely, efficient and attractive outcome. Modern technology makes our work easier and gives us a clearer image of the end result. Stunning 3D architectural modeling is widely used in many design projects across the home remodeling industry. Our customers will be able to virtually walk through their new kitchen before any work begins. Every kitchen needs high-quality, functional and beautiful cabinets to store kitchenware, cutlery and cooking items. At Murray Lampert, we have a wide range of quality kitchen cabinets to choose from. They are made from the finest materials and can be customized to meet the desire and liking of each and every client. Homeowners always prefer working with experienced companies. It is always safer to choose a firm which has been in the business for many years. Murray Lampert was founded back in 1975 and has been going from strength to strength over the years. All employees have relevant experience in their areas of expertise. This ensures they will do a great job and give you the kitchen of your dreams. When you decide to undertake a large remodeling project, it is always best to hire a company that is honest in its charges, pricing and delivery of services. Over the years, our company has established a relationship of trust with homeowners due to our honest pricing system, professionalism and the ability to keep our word. Honesty is one of the most important virtues that we continue to hold dear. Our company has won a number of excellence awards over the years. We’ve been recognized by institutions and organizations for our outstanding work, our trustworthy service and affordable pricing. These awards mean a lot to our company and they encourage us to continue maintaining the high standards we set for ourselves. For more information on the range of our design-build services, reach out to our team today!